It is looking great Sandra. And coming together so quickly! I think the gray fabric would look great with those juicy colors. Love it! Those are some gorgeous colors! I like Cynthia's idea of gray fabric with them. Visiting from freshly Pieced. 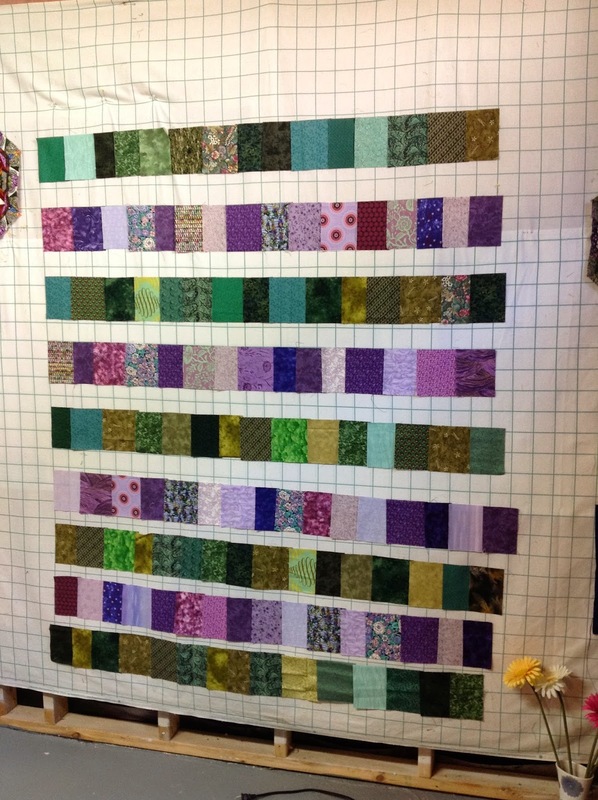 Loving the colours in your strips - and I agree that the grey would be perfect for sashing! I sure will! Wow, this week, I've made two new friends who both live in North Georgia! Talk about a small world. Jan, of Sew and Sow Farm, also lives in the mountains of N. Georgia. Cool!